Four years ago today RILM launched this blog as an experimental interaction with the community of scholars and librarians that we serve. We initially intended to highlight things of practical interest to music librarians and researchers—publication types, new periodicals, new series, resources, and so on—and soon realized that our readers would also enjoy learning about particular writings that arouse our curiosity or just make us smile. Our success in this adventure has been gratifying, and we hope that you will continue to share your very useful feedback! 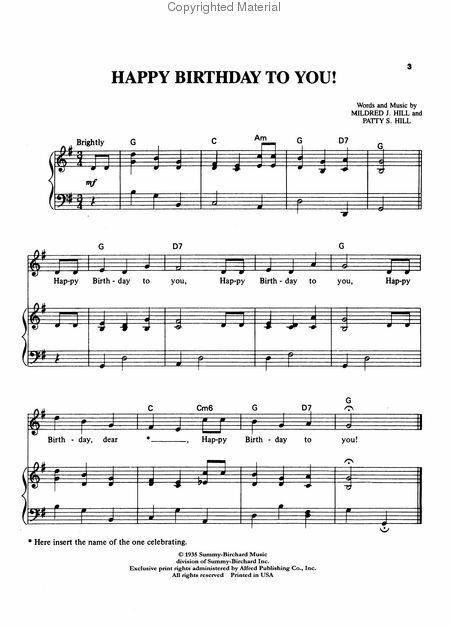 Below, a historic performance of the well-known song written by Mildred and Patty Hill (above). I can’t believe I only JUST discovered this site… what a delight!!!! Congratulations on producing one of the most intriguing and stimulating and enjoyable resources about music and scholarship on the web! I would like to congratulate RILM Bibliolore on its first anniversary! I very much appreciate the informative and often amusing posts on the blog. Many happy returns! Congratulations to our wonderful blog editor, Jim Cowdery, who writes most of the blog entries and is the driving force behind BiblioLore. And thanks to all other editors who have contributed entries and to everyone who has posted comments. Keep them coming. We love to get them. Happy Birthday BiblioLore!